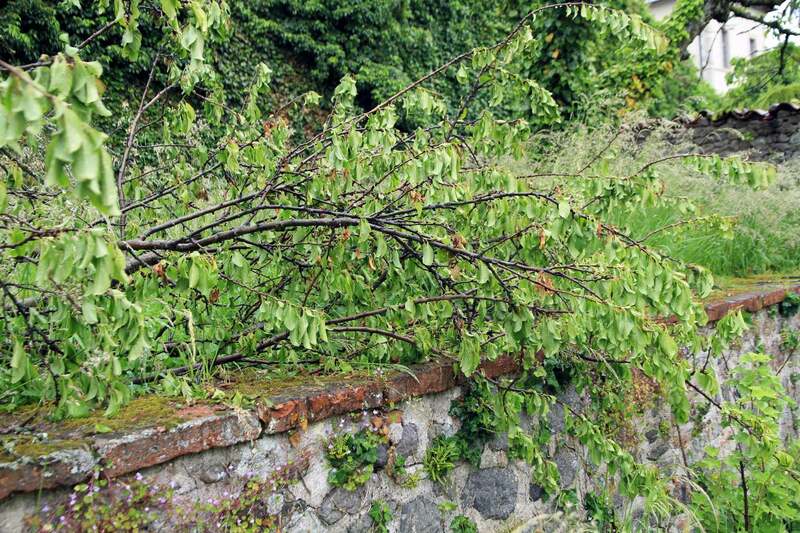 One of the advantages of pruning is that it makes trees less vulnerable to gusty winds. 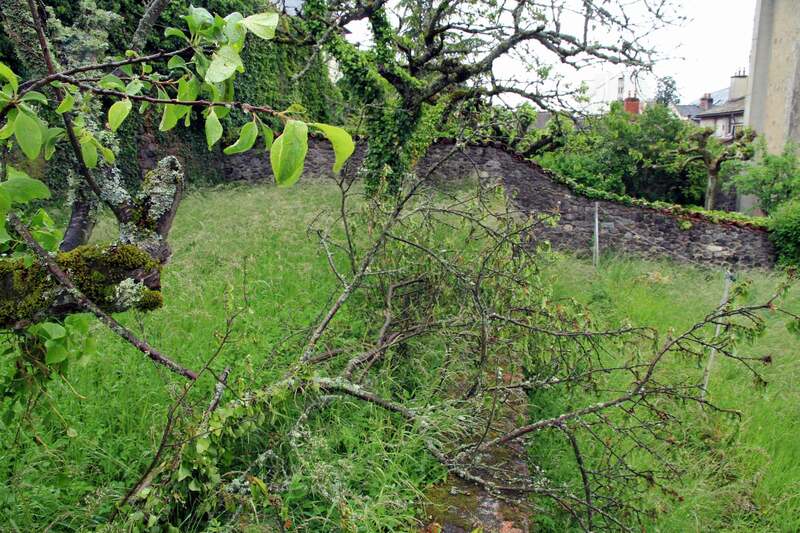 The old plum tree featured in our 10 April 2014 post is down. Its main branch collapsed during last week’s heavy storms. It hadn’t been pruned for tens of years. The tree should have been pruned every two years or so. It was old, yet had quite healthy new branches. We also lost the plums. No more deliciously sweet “Reine-Claude”! 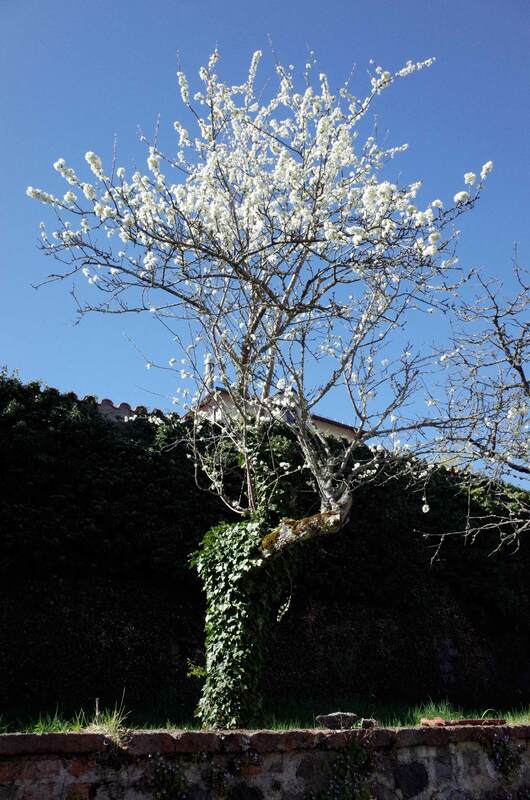 This entry was posted in Grow and tagged Aurillac, France, Plums by Les Jardins d'ici. Bookmark the permalink. 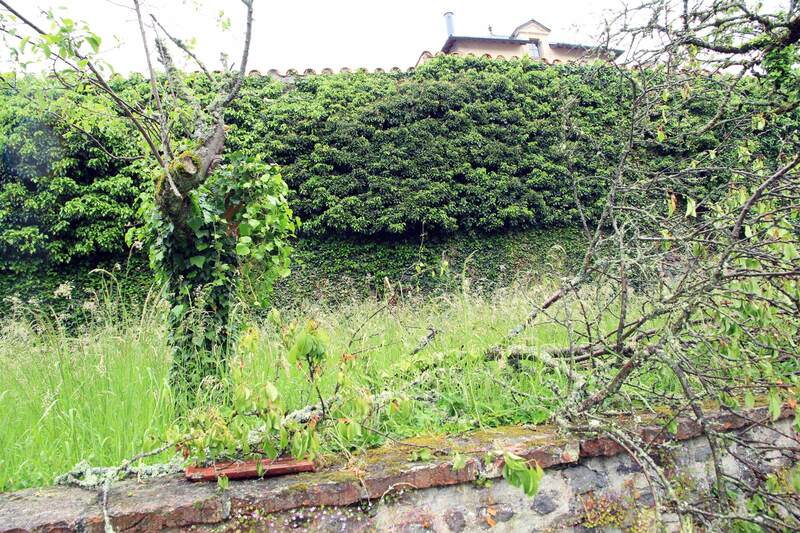 The same thing happened to a plum tree we had in the garden in Tence (Upper Loire). I cannot recall it ever being pruned but it had not grown too big. A combination of snow and wind led to several branches being broken off. The tree had to be dug out. I wondered whether plum tree branches are easily snapped. Malcolm. Thanks Malcom for your comment. 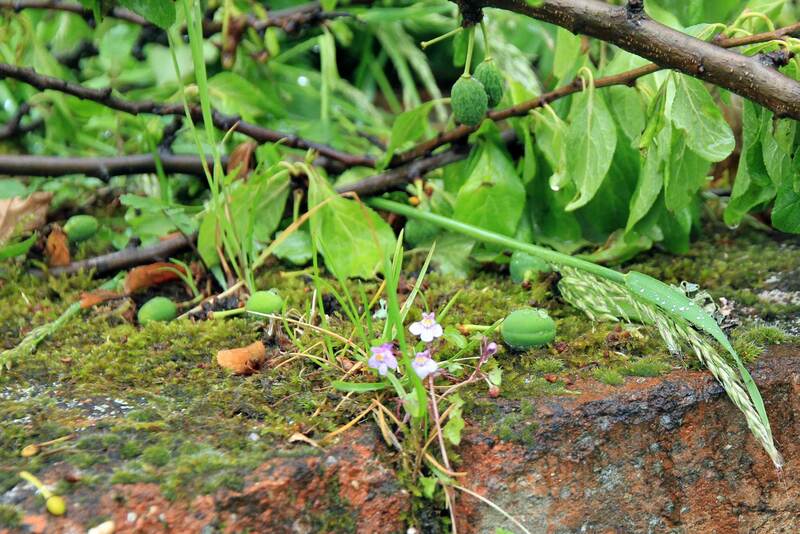 A quick search on the Internet confirms that the branches of plum trees, as well as cherry and apricot trees, easily snap, for instance under the weight of fruit in the case of plum trees. The Royal Horticultural Society recommends that they should be thinned to avoid such a problem: http://rhs.org.uk/advice/profile?pid=339 . I would say that giving a crown shape to a plum tree and avoiding it to grow too high probably reduces the risk of breaking off, yet your example shows that they remain susceptible to dammages from heavy winds and snowfalls.